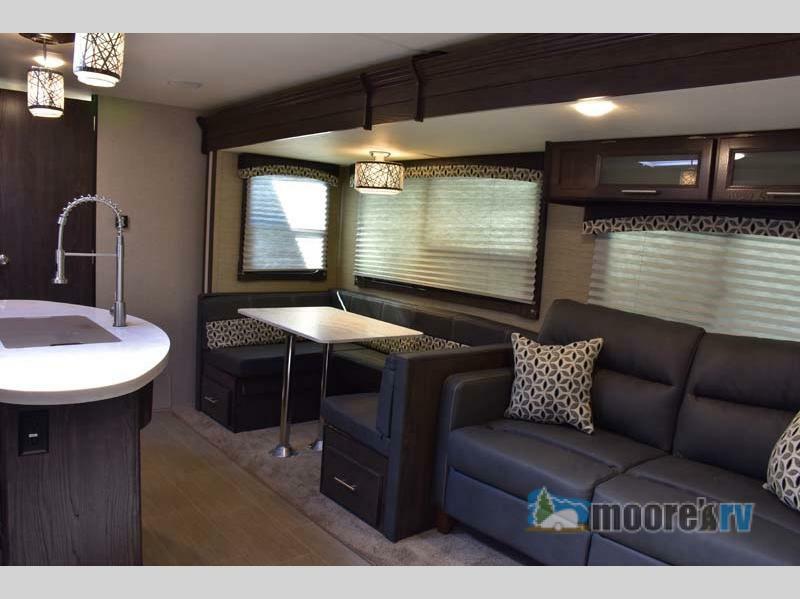 Get ready for massive savings on premium 2018 Kodiak travel trailers from Moore’s RV! We’re hosting a blowout RV sale on all of our remaining 2018 Kodiak travel trailers, so get them before they are gone for good! These incredible travel trailers are lightweight, durable, and towable by most SUVs, crossovers, and even minivans. They are the perfect solution for a first-time RV family, or veteran campers looking for a spectacular deal! Save huge on all remaining Kodiak travel trailers! Most of these travel trailers can be easily towed by a minivan, crossover, or small truck; however, it’s always important to know your vehicle’s towing capacity before you set off on your next adventure. These Kodiak trailers all have a hitch weight under 900 lbs! Curious about your towing capacity? Check out our towing guide and see how much your vehicle can handle! Take home this Kodiak travel trailer from Moore’s RV today! 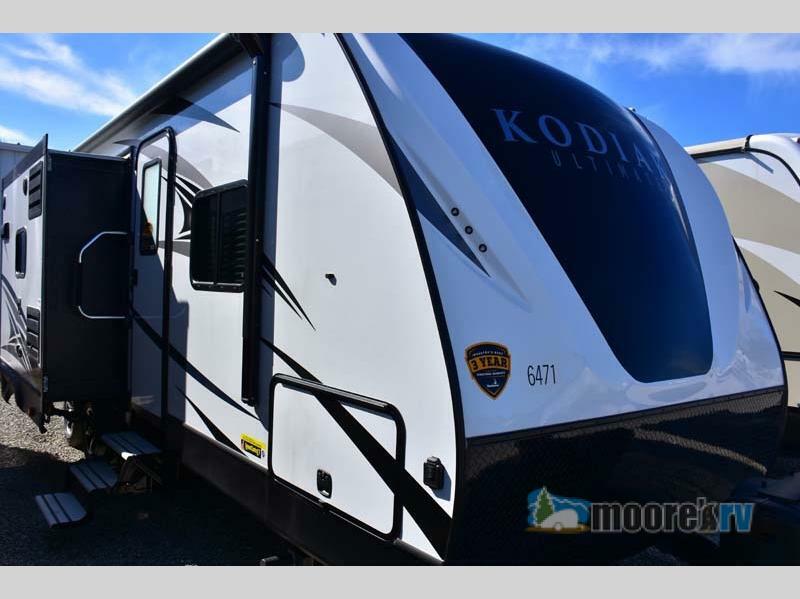 Inside these 2018 Kodiak travel trailers, you’ll find everything you need for a luxurious escape! We have models with dual slides, kitchen islands, and queen beds. We have cozy couple’s coaches with outdoor kitchens and large awning for enjoying the sunset. Whatever you’re looking for in your next RV, you’ll find something to love in these travel trailers. Gorgeous interiors with high-quality lighting, tufted cushions, and top-of-the-line privacy shades. During this massive blowout of all of our remaining 2018 Kodiak travel trailers, you could save up to $15,000 on the perfect model for you and your family! Now is your chance to come and tour all of the gorgeous remaining models and find the ideal match for you! Cash in on significant savings and take home a Kodiak travel trailer today! Contact us for more information.